Mark Winterbottom says the working relationship between Team 18 and Triple Eight is in full swing following a poor showing at the pre-season Supercars test last week. 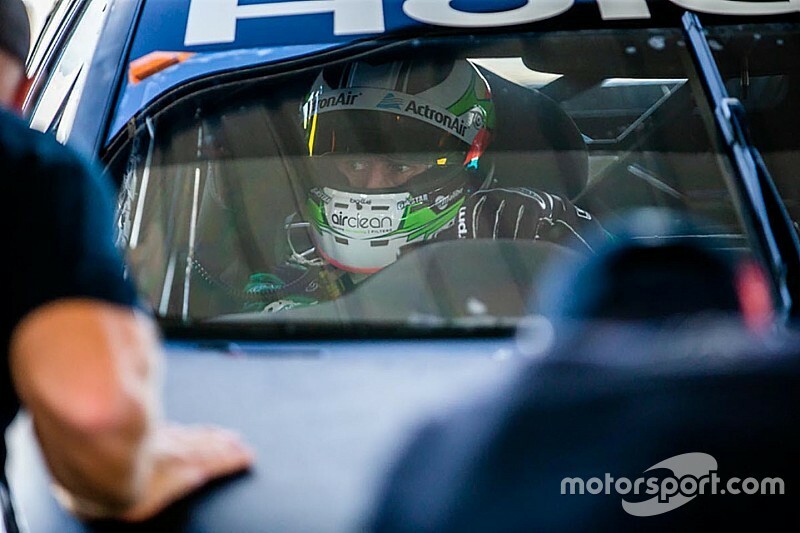 Winterbottom joined the single-car Team 18 squad for the 2019 season on the promise of a full technical relationship with Triple Eight, a team he did battle with for years during his stint at Tickford Racing. However there was no dream start to life in a Triple Eight-built Holden for the 2015 series champ, who, much like Triple Eight's own drivers, struggled for outright pace running a now-mandatory linear spring set-up. He also had his green tyre lap ruined by an ECU gremlin, which left him 16th in the final standings. Still, there were still positives for Winterbottom to take away from the sole pre-season hit-out. He says the fact that he was relatively evenly-matched with Shane van Gisbergen (14th quickest) and Jamie Whincup (19th quickest) was a plus, and that a troubled start has highlighted how close the working relationship with Triple Eight really is. "I think that rule change has impacted the cars quite a lot," he told Motorsport.com. "We've got work to do, no doubt. But we've got the right people to work on it, and Triple Eight, I think, are in a similar situation. "There's a lot of smart people, we'll just have to work hard to get on top of it. "[Triple Eight] needs us like we need them. They want us to try different stuff. We all had the same handling. We're working closely with them, and we've got the same handling characteristics. "If they were one and two and we were 20th, you'd be worried. But we mirrored them all day time-wise and handling-wise. That's why it was a good day for us. "When they fix it, we'll fix it. When we fix it, they'll fix it." And that fix could come as soon as next week's Adelaide 500, Winterbottom confident that between ongoing development work and a very different circuit layout, the T8 Holdens should be more competitive. "I've never seen Triple Eight struggle for long," added Winterbottom. "Adelaide will be better for us. But still, we do have to race [at Phillip Island]. You have to sort it, you don't hide from it. "We have to fix what happened [at the test]." Supercars Bathurst pre-season test "not off the table"